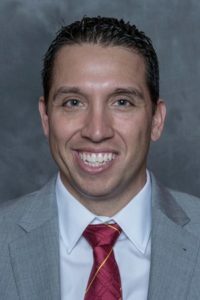 A 3-9 record won’t provide a football program with momentum but Iowa State coach Matt Campbell hopes the way his Cyclones finished 2016 carries over to the start of the new season. Iowa State played its best football during the final month with Big 12 wins over Kansas and Texas Tech as well as close losses to Kansas State and Oklahoma. Iowa State struggled out of the gate in Campbell’s first season as head coach as the Cyclones lost eight of their first nine games. But, Campbell says as the season progressed the Cyclones figured out what it takes to win. The Cyclones open at home September 2 against Northern Iowa.